AAPM has the highest academic and testing standards which requires government recognzed academic education, testing, and success. *AAPM IPMC Certification Candidates at a young age should realize that they can: Apply for admission to a CHEA Accredited and GOVERNENT recognized and accredited COLLEGE, UNIVERSITY OR PROGRAM, earn acceptance to an accredited program, excel in a focus area of project management, pass all of the project management and management courses, QUIZZES AND EXAMS, successfully complete the course with transcripts from accredited institution, and then become eligible for AApM board certification if they meet the other requirements such as experience, ethics and continuing education. Traditionally, it can be a 3-7 year exam and certification process depending on if you go into a masters program, but our AApM Board of Standards has the most respected path, process, and method of certification which cooperates directly with government recognized colleges, academia, universities and schools. *AAPM MPM Master Project Manager ™ Designation is the only Project Management Credential and certification that mandates and requires CHEA governement recognized accredited college degree education. NOTE on designations and credentials: AApM mandates that all members subject to US or any Jurisdiction abide by the rules and regulations of the local, state and federal regulators and laws. Your credit card will not be charged until you have been approved by the Board of Standards to receive Certification Certifications. This payment is for application, review, processing, initiation, and Certifications only. If accepted, your application, initiation, review, processing fee, and Certification fee will be charged to your card, and membership is free for 2 years. Annual good standing or our licensing fees may be accessed after 2 years. Members who process their application through the USA websites to the Board of Standards and are appoved and have made payment of registration, will receive a member Certification and certification that you have registered for in full and good standing. Member cards under our rules and regulations may be issued digitally and emailed to the member to be printed out and lamanated by the member. There is no guarantee that you will be added to the database unless you have provided express permission and are in good standing. Regular member cards may be offered also to those who complete the AAPM sponsored executive course. As you know, many other organizations attempt to set up their own college or universities that lead to their own certification. IPMC in conjunction with its Educational Partner AAFM is the first organization in the world to enter joint education recognition agreements with the AACSB and ACBSP which includes the 560 top business schools worldwide. From a legal standpoint, you must realize that IPMC in conjunction with its Educational Partner AAFM has recognized (in mutual and legal agreements) the top 560 business schools and graduate law schools worldwide through agreements with the AACSB and ACBSP and ABA Law Schools. Thus, we have accredited and sanctioned over 560 colleges and universities that provide government approved or sanctioned education. So, IPMC in conjunction with its Educational Partner AAFM accepts successfully completed credits and degrees completion from these top 560 business schools, MBA programs, and law schools worldwide. It is an unprecedented move by IPMC in conjunction with its Educational Partner AAFM that has NEVER been achieved by ANY organization worldwide. IPMC in conjunction with its Educational Partner AAFM also accredits and approves qualified ABA Accredited Law School Courses and degrees that lead to certification. Thus, IPMC in conjunction with its Educational Partner AAFM is the first financial organization in the WORLD to achieve this status and legal arrangements with 560+ Business schools and law schools worldwide. IPMC in conjunction with its Educational Partner AAFM has the Most Registered and Approved business schools and laws schools in the world. More than ANY other independent financial organization. We are a Board of Standards that offers board certification to qualified individuals who have met our experience and ethic requirements. Further, on its face, we offer certification to those who have successfully passed courses at ACCREDITED SCHOOLS AND UNIVERSITIES through our legal recognition agreements worldwide. In general, any of our members who have applied from our recognized 570+ accredited and approved law and business school relationships HAVE MET THE MOST STRENUOUS CRITERIA FOR COLLEGE ACCEPTANCE, COURSE REQUIREMENTS, COURSE COMPLETION, COURSE TESTING AND DEGREE REQUIREMENTS IN THE WORLD. *Candidates at a young age should realize that they can: Apply for admission to a college, earn acceptance to an accredited program, excel in a focus area, pass all of the course exams, and then become eligible for board certification if they meet the other requirements such as experience, ethics and continuing education. It can be a 4-7 year certification process depending on if you go into a masters program, but our Board of Standards has the most respected path and method of certification which cooperates directly with government recognized schools. If you are applying from outside of the USA, the Board has the legal right to refer your application to the organizations who are in charge or have authority over and in your region or territory. Even if you believe that you are qualified under the requirements, the Board has the full right to request that you complete the required course and exam in the territory who has oversight from your region. ALSO The International Headquarters for Certification and Designation Training is based in Singapore with government license to operate, train, educate, and consult along with rights to legally issue certificates or international diplomas from that sovereign region issuing certification and awards under the Board of Standards. The secondary headquarters is based in Kuwait City with the same operational licenses issuing certification under the Global Board of Standards. The Board consists of members in several countries and the situs of the board can move at any time. 2.1 PROGRAM means any one or all of the certification programs offered by www.certifiedprojectmanager.org under this IPMC Certification Agreement (Agreement). 2.2 Trademarks and MARKS include but are not limited to the IPMC marks, corporate identities, and logos or any additional mark, which IPMC , from time to time, may offer. 2.3 LICENSED SERVICES means the selling, offering, or providing in any manor, administration, or pre- and post-sales service and support of www.certifiedprojectmanager.org's programs that correspond with the Program or Programs(s) successfully completed by the participant. This agreement includes any courseware, which IPMC now offers, or may ever offer. If YOU have successfully completed a www.certifiedprojectmanager.org IPMC Certification, LICENSED SERVICES additionally means administering the overall project of developing, deploying, and managing an Internet or intranet site. The IPMC Program may include but is not limited to third party training, products and/or certifications, aspects of which are beyond the control of www.certifiedprojectmanager.org. 2.4 IPMC Endorsed Training Provider (IPMC ETP) means any organization that has been approved by www.certifiedprojectmanager.org as an authorized education provider facility. Specifically Mindleaders, Serebra, alliance colleges and universities, or any other selected but not endorsed coursework. YOUR Program board certification is based on successful completion of courses and built in testing and following the requirements in the current or future Program as may be disclosed. www.certifiedprojectmanager.org may change at any time the requirements or cost for obtaining or maintaining any Program board certification, charter, membership or certification. NOTWITHSTANDING ANYTHING IN THIS AGREEMENT TO THE CONTRARY, www.certifiedprojectmanager.org HAS THE RIGHT NOT TO GRANT OR RENEW YOUR CERTIFICATION IF www.certifiedprojectmanager.org REASONABLY DETERMINES IN GOOD FAITH THAT YOUR CERTIFICATION OR USE OF THE CORRESPONDING MARKS WILL ADVERSELY AFFECT www.certifiedprojectmanager.org. THIS AGREEMENT APPLIES TO ANY AND ALL PROGRAMS COMPLETED BY YOU. Subject to the terms and conditions of this Agreement, www.certifiedprojectmanager.org grants to YOU a non-exclusive and non-transferable license to use the MARKS relating to the Program certification YOU have earned. YOU may use the MARKS on such promotional display and advertising materials as may, in YOUR judgment, promote the LICENSE. YOU may not use the MARKS or claim to be certified in the Program unless YOU have completed the Program certification requirements and have been notified by www.certifiedprojectmanager.org in writing that YOU have achieved certification status for that particular Program. YOU agree to cease using the marks immediately upon notification by IPMC to do so. Further, the mark or marks are for use by individuals and not for companies or entities unless specifically authorized. 5.1 Term. This Agreement is effective with YOUR agreeing to the electronic acknowledgment at the end of the agreement. IPMC 's obligation to perform, and YOUR ability to use the marks, and certification status will begin on the date YOU receive written notice from www.certifiedprojectmanager.org that YOU have met all the requirements necessary to receive YOUR particular Program certification. After you agree to this agreement, you will be sent an electronic file copy of the agreement for your records. 5.2. THIS AGREEMENT does not obligate IPMC TO COMPLY OR OTHERWISE PROVIDE SERVICE UNTIL www.certifiedprojectmanager.org HAS NOTIFIED YOU IN WRITING THAT ALL PROGRAM REQUIREMENTS HAVE BEEN MET, INCLUDING YOUR ASSENT TO ACCEPTANCE OF THE TERMS OF THIS AGREEMENT. YOU must communicate YOUR acceptance of these terms by submitting an electronic form by affixing your digital signature at the bottom of the application. 5.3 Either party may terminate this Agreement without cause for any or no reason by giving thirty (30) days or more prior written notice to the other party. The termination will not relieve YOU from YOUR obligations to IPMC to protect it services, marks, proprietary information, or for YOU to otherwise perform under this agreement. Termination by www.certifiedprojectmanager.org is without prejudice to any rights it may have under this Agreement. In addition IPMC may cancel if YOU fail to perform any of YOUR obligations under this Agreement; and/or if YOU use the marks without complying with the testing requirements under this agreement. 5.4 In the event of a Default, www.certifiedprojectmanager.org will give YOU written notice of termination of this Agreement. www.certifiedprojectmanager.org may immediately terminate this Agreement. 5.5 Upon termination of this Agreement for any reason, YOU must immediately cease the use of the MARKS specifically IPMC and IPMC International Project Management Commission . Upon termination, all rights granted under this Agreement to YOU will cease, including any rights to represent your former or current status within any IPMC certification program. YOU agree to conduct business in a manner, which reflects favorably at all times on the programs and reputation of www.certifiedprojectmanager.org. YOU agree to not misrepresent YOUR certification status or YOUR level of skill and knowledge related thereto. www.certifiedprojectmanager.org and IPMC certification do not warranty or guarantee the level of skill or knowledge of an individual. The IPMC holder has only satisfied the requirements of the www.certifiedprojectmanager.org and the individual may or may not be competent in any given task or position. Ultimately, the employee or contractor who holds or does not hold board certification must prove him or herself in her position. If that person contracts for performance, that person has legally bound themselves to perform based on their own skill and knowledge. www.certifiedprojectmanager.org and IPMC Certification holders generally have the minimal technical education and competency in project management, risk, e-commerce and e-business. Our certification is for managers and is non-technical. www.certifiedprojectmanager.org owns and retains all title and ownership of all intellectual property rights in its products or marks. No title to or ownership of the MARKS, proprietary technology or Confidential Information (as defined below) is transferred to YOU whatsoever. www.certifiedprojectmanager.org retains all rights not expressly conveyed to YOU by this Agreement. YOU agree that the marks and goodwill associated with those marks exclusively inure to the benefit of, and belong to, www.certifiedprojectmanager.org, Inc. YOU have no rights of any kind whatsoever with respect to the MARKS licensed under this Agreement except to the extent of the license granted in this Agreement. YOU agree not to file any new trademark, collective mark, service mark, certification mark, domain name, and/or trade name application(s), in any class and in any Country, for any trademark, collective mark, service mark, certification mark, and/or trade name that, in www.certifiedprojectmanager.org's opinion, is the same as, similar to, or that contains, in whole or in part, any or all of www.certifiedprojectmanager.org's trade names, trademarks, collective marks, service marks, and/or certification marks, including, without limitation, the MARKS licensed under this agreement. This section shall remain in effect after termination of the agreement. YOU agree to assist www.certifiedprojectmanager.org, to the extent reasonably necessary and at www.certifiedprojectmanager.org's expense, to protect or to obtain protection for any of www.certifiedprojectmanager.org's rights to the MARKS. In addition, if at any time www.certifiedprojectmanager.org requests that YOU discontinue using the MARKS and/or substitute using a new or different mark, YOU will immediately cease use of the MARKS and cooperate fully with www.certifiedprojectmanager.org to ensure all legal obligations have been met with regards to use of the MARKS. YOU agree to indemnify and hold www.certifiedprojectmanager.org harmless against any loss, liability, damage, cost or expense (arising out of any damage or suits made against www.certifiedprojectmanager.org (i) by reason of YOUR performance or non-performance under this Agreement; (ii) arising out of YOUR use of the MARKS in any manner whatsoever except in the form expressly licensed under this Agreement. www.certifiedprojectmanager.org reserves the right to revise the terms of this Agreement from time to time. In the event of a revision, YOUR signing or otherwise manifesting assent to a new agreement may be a condition of continued certification. This Agreement will in all respects be governed by the laws of the United States and venue of any actions will be proper either in the courts of the State of Louisiana or specifically the eastern district of Louisiana federal courts. No waiver of any right or remedy on one occasion by either party will be deemed a waiver of such right or remedy on any other occasion. Neither this Agreement nor any of YOUR rights or obligations arising under this Agreement may be assigned or transferred. YOU may not transfer YOUR program certification to another person or entity. YOU acknowledge that YOU and www.certifiedprojectmanager.org are independent contractors and YOU agree that YOU will not represent YOURSELF as an employee, agent, or legal representative of www.certifiedprojectmanager.org. In no event shall YOU have any right to make any representation, warranty or promise on behalf of IPMC . NON-DISCLOSURE AGREEMENT. YOU specifically agree as part of this agreement to retain in confidence all information and know-how transmitted to YOU by www.certifiedprojectmanager.org the "Confidential Information". Confidential information specifically includes but is not necessarily limited to certification examination questions and materials provided by www.certifiedprojectmanager.org or www.certifiedprojectmanager.org education providers which may not be disclosed or discussed in any portion with others, or posted or published in any forum or through any medium whatsoever or in any manner disclosed either orally, through notes or transmitted electronically in any forum or in any way whatsoever. YOU shall also have the obligation to maintain the Confidential Information that YOU received in any manner from any another party that is the Confidential Information of www.certifiedprojectmanager.org. including certification examination questions and materials. YOU shall be obligated to notify www.certifiedprojectmanager.org of the receipt of such Confidential Information within 24 hours of receipt. The failure to fully comply with these provisions shall be deemed to be a default of this agreement, and may subject the offender to immediate termination of certification or any other default provisions under this agreement. You acknowledge that monetary damages may not be sufficient remedy for unauthorized disclosure of Confidential Information and that www.certifiedprojectmanager.org shall be entitled, without posting of bond or proof of actual damages and without waiving any other rights or remedies, to such injunctive or equitable relief as may be deemed proper by a court of competent jurisdiction. Nothing herein shall prohibit www.certifiedprojectmanager.org or IIPA from seeking civil recovery and/or criminal sanctions for dissemination or disclosure of its proprietary and/or Confidential Information. Your obligation of confidentiality under this agreement shall survive the termination or default under expiration of this agreement. Any modifications to the typewritten face of this Agreement will render it null and void. This Agreement will not be supplemented or modified by any course of dealing or usage of trade. Any modifications to this Agreement must be in writing and signed by both parties. YOU agree that in the event legal action is required by www.certifiedprojectmanager.org to enforce compliance with this agreement YOU shall be responsible for all attorney fees and costs necessary to enforce the agreement. THERE IS NO WARRANTY OF MERCHANTIBILITY, NO WARRANTY OF FITNESS FOR A PARTICULAR USE AND NO WARRANTY OF NON-INFRINGEMENT. THERE IS NO WARRANTY OF ANY KIND, EXPRESS OR IMPLIED, REGARDING THE TRAINING, LICENSE, CERTIFICATION, PROGRAM, MARKS, OR ANY INFORMATION PROVIDED BY IPMC , IIPA, or The Institute of IPMC International Project Management Commission . Notice: The objective of this site is for membership, networking, research, and education. No legal, investment, accounting, or other professional regulated consulting is implied. If you desire to facilitate a legal or investment transaction, see a licensed or state certified individual. Training may be offered by educational institutes. Read information below. PLEASE STUDY AND READ THIS DOCUMENT CAREFULLY BEFORE ACCESSING OR USING THE SITE. BY ACCESSING OR USING THE SITE, YOU AND YOUR PRINCIPAL AGREE TO BE BOUND BY THE TERMS AND CONDITIONS SET FORTH BELOW. IF YOU DO NOT WISH TO BE BOUND BY THESE TERMS AND CONDITIONS, YOU MAY NOT AND SHALL NOT ACCESS OR USE THE SITE. www.certifiedprojectmanager.org MAY MODIFY THIS AGREEMENT AT ANY TIME, AND SUCH MODIFICATIONS SHALL BE EFFECTIVE IMMEDIATELY UPON ELECTRONIC POSTING OF THE MODIFIED AGREEMENT ON THE SITE. YOU AGREE TO REVIEW THE AGREEMENT UPON VIEWING THE SITE TO BE AWARE OF SUCH MODIFICATIONS AND YOUR CONTINUED ACCESS OR USE OF THE SITE SHALL BE DEEMED YOUR CONCLUSIVE AND KNOWING ACCEPTANCE OF THE MODIFIED AGREEMENT. BY VIEWING THIS SITE YOU SUBMIT THAT THE TERMS ARE CLEAR AND NOT VAGUE. MOREOVER, BY ACCESSING THIS SITE, YOU SUBJECT YOURSELF TO THE FORUM AND JURISDICTION OF THE www.certifiedprojectmanager.org ADMINISTRATIVE AREA WHICH IS PRESENTLY THE EASTERN DISTRICT OF LOUISIANA IN THE FEDERAL ZONE or courts of Louisiana. l) Educational Licenses, Accreditation, and State Sanction. The IPMC does not claim to be a college or university nor does it claim accreditation from any 501 bodies, state, or federal government agency or body. The IPMC is not a 501c3 organization and never has claimed to be a tax free or charitable entity. The IPMC may engage in business with charitable organizations or form alliances with charities that operate under 501 but the IPMC operates as a responsible, growing, proprietary, growth oriented, and profit oriented association and company. The IPMC is an independent authority similar to other American Associations. The IPMC grants Certifications, certifications, marks, designations, and charters much like hundreds of other legal educational and recognition institutes or associations in the United States. The IPMC strictly follows the criteria of the Ibanez decision in the United States. We encourage all members and certified members to meet all requirements for education, experience, testing, ethics, and continuing education. The IPMC licenses its marks and logos to others. The marks are generally licensed to individuals. The IPMC will license the IPMC and other marks and logos to companies, universities, or other uses upon the consent of its board. The IPMC outsourses to other companies for training and education that is provided online. The IPMC does not collect money for the courses, provide the service, teach the class, enter into a contract with the student. THe company providing the education and training is simply using our site as a distribution point. THe IPMC may receive a referral fee, rebate, revenue share, or other payments for providing the website that afforded the sale of the service to the customer. In sum, you accept that we are not responsible for the performance of any education or training contract. We do not hold any of your private information that you submitted to the training, course, or education provider although directory infomation may be exchanged. This information is limited to email address, phone number, name, employer, educational degrees and background. As project management is a relatively new field, it is impossible for any association to have been in this field for any significant length of time. With this in mind, new and growing fields of study and practice should be given the opportunity to grow and flourish without government interference. IPMC claims no government sanction or alliance. IPMC has formed legal relationships with professors, college organizations, university groups and independent training associations and facilities. As accreditation is generally not operated by any government body, The IPMC is self governing and our members and certified members are self governing through our regulations, ethics, and continuing education, and standards much like lawyers, accountants, or financial planners. The IPMC is not in the business of accreditation of colleges universities or schools. Call the AACSB if you desire accreditation or call the Department of Education. 1. Intellectual Property, Copyright, Licenses and Idea Submissions. Global, Domestic and International copyright and trademark laws protect the entire contents of the Site. The owners of the intellectual property, copyrights and trademarks are www.certifiedprojectmanager.org, its affiliates or other third party licensors. YOU MAY NOT MODIFY, COPY, REPRODUCE, REPUBLISH, UPLOAD, ALTER, CHANGE, VANDALIZE, DISCREDIT, POST, TRANSMIT, OR DISTRIBUTE, IN ANY MANNER, THE MATERIAL ON THE SITE, INCLUDING TEXT, GRAPHICS, CODE AND/OR SOFTWARE. You may print and download portions of material from the different areas of the Site solely for your own non-commercial use provided that you agree not to change or delete any copyright or proprietary notices from the materials. The IPMC has been using and reserves the right to use the terms IPMC International Project Management Commission, MPM Master Project Manager ™ Certified International Project Manager ™ Certified Planning Engineer ™ and PME Project Manager E-Business ™ , CEC, Certified E-Commerce and E-Business Manager CEM, Certified E-Commerce and E-Business Professional, CEP, and Certified E-Business Analyst or specialist. We were using all of these terms in written form in commerce before anyone in the United States. We have copyights, trademarks, and other Common Law protections on all of these marks, designations, and terms of art. With regard to all submitted information and articles, you agree to grant to www.certifiedprojectmanager.org a non-exclusive, royalty-free, worldwide, sub-licensable, perpetual license, with the right to sub-license, to reproduce, distribute, transmit, create derivative works of, publicly display and publicly perform any materials and other information (including, without limitation, ideas contained therein for new or improved products and services) you submit to any public areas of the Site (such as bulletin boards, forums and newsgroups) or by e-mail to www.certifiedprojectmanager.org by all means and in any media now known or hereafter developed. You also grant to www.certifiedprojectmanager.org the right to use your name in connection with the submitted materials and other information as well as in connection with all advertising, marketing and promotional material related thereto. You agree that you shall have no recourse against www.certifiedprojectmanager.org for any alleged or actual infringement or misappropriation of any proprietary right in your communications to www.certifiedprojectmanager.org. If you believe that content appearing on the Site constitutes copyright infringement of another party's rights, please follow the instructions on our Copyrights and Copyright Agent page. Web Design, and/or any other names of www.certifiedprojectmanager.org or its Web sites, publications, products, content or services referenced herein or on the Site are the exclusive trademarks or service marks of www.certifiedprojectmanager.org, including the "look" and "feel" of the Site, www.certifiedprojectmanager.org's color combinations, layout, and all other graphical elements. Be very careful because all of the marks are protected on the Federal Common Law Level and many marks have special registrations with states such as California, New York, and Texas. Any use of www.certifiedprojectmanager.org's trademarks is strictly prohibited without the express permission from www.certifiedprojectmanager.org. Other product and company names mentioned in the Site may be the trademarks of their respective owners. Further, all significant marks are protected throughout the US by Federal Application and with certain International Treaties and Laws. You understand that, except for information, products or services clearly identified as being supplied by www.certifiedprojectmanager.org, www.certifiedprojectmanager.org does not operate, control or endorse any information, products or services on the Internet in any way. Except for www.certifiedprojectmanager.org identified information, products or services, all information, products and services offered through the Site or on the Internet generally are offered by third parties that are not affiliated with www.certifiedprojectmanager.org. You also understand that www.certifiedprojectmanager.org cannot and does not guarantee or warrant that files, products, or information available for downloading through the Site will be free of infection or viruses, worms, Trojan horses, hack daddies, beetles, or any debilitating creepy software latent or hidden activity or other code that may manifest contaminating or destructive properties. You are responsible for implementing sufficient procedures, firewalls, and checkpoints to satisfy your particular requirements for accuracy of data input and output, and for maintaining a means external to the Site for the reconstruction of any lost or impaired data. l) Use or misuse without consent from an officer or manager the logo, marks, endorsement, designation, or distinction. l) Steal or appropriate IPMC content or text for use in a similar web site or marketing or promotional material. YOU TAKE ON AND ASSUME TOTAL RESPONSIBILITY AND RISK FOR YOUR USE OF THE SITE AND THE INTERNET. 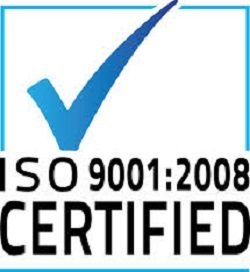 www.certifiedprojectmanager.org PROVIDES THE SITE AND RELATED INFORMATION "AS IS" AND DOES NOT MAKE ANY EXPRESS OR IMPLIED WARRANTIES, GUARANTEES, REPRESENTATIONS OR ENDORSEMENTS WHATSOEVER (INCLUDING WITHOUT LIMITATION WARRANTIES OF TITLE OR NONINFRINGEMENT, OR THE IMPLIED WARRANTIES OF MERCHANTABILITY OR FITNESS FOR A PARTICULAR PURPOSE) WITH REGARD TO THE SERVICE, ANY STUFF OR MERCHANDISE INFORMATION OR SERVICE PROVIDED THROUGH THE SERVICE OR ON THE INTERNET GENERALLY, AND www.certifiedprojectmanager.org SHALL NOT BE LIABLE FOR ANY COST OR DAMAGE ARISING EITHER DIRECTLY OR INDIRECTLY FROM ANY SUCH TRANSACTION. IT IS SOLELY YOUR RESPONSIBILITY TO EVALUATE THE ACCURACY, COMPLETENESS AND USEFULNESS OF ALL OPINIONS, ADVICE, SERVICES, MERCHANDISE AND OTHER INFORMATION PROVIDED THROUGH THE SERVICE OR ON THE INTERNET GENERALLY. YOU UNDERSTAND FURTHER THAT THE INTERNET CONTAINS UNEDITED MATERIALS SOME OF WHICH ARE SEXUALLY EXPLICIT OR MAY BE OFFENSIVE TO YOU. YOU ACCESS SUCH MATERIALS AT YOUR RISK. www.certifiedprojectmanager.org HAS NO CONTROL OVER AND ACCEPTS NO RESPONSIBILITY WHATSOEVER FOR SUCH MATERIALS. IPMC may have banners or advertising on its site of which it has no control over the content of the banner or advertisement. Please notify the IPMC if any add is vulgar or explicit in nature. IN NO EVENT WILL www.certifiedprojectmanager.org BE LIABLE FOR (I) ANY INCIDENTAL, CONSEQUENTIAL, OR INDIRECT DAMAGES (INCLUDING, BUT NOT LIMITED TO, DAMAGES FOR LOSS OF PROFITS, BUSINESS INTERRUPTION, LOSS OF PROGRAMS OR INFORMATION, AND THE LIKE) ARISING OUT OF THE USE OF OR INABILITY TO USE THE SERVICE, OR ANY INFORMATION, OR TRANSACTIONS PROVIDED ON THE SERVICE, OR DOWNLOADED FROM THE SERVICE, OR ANY DELAY OF SUCH INFORMATION OR SERVICE. EVEN IF www.certifiedprojectmanager.org OR ITS AUTHORIZED REPRESENTATIVES HAVE BEEN ADVISED OF THE POSSIBILITY OF SUCH DAMAGES, OR (II) ANY CLAIM ATTRIBUTABLE TO ERRORS, OMISSIONS, OR OTHER INACCURACIES IN THE SERVICE AND/OR MATERIALS OR INFORMATION DOWNLOADED THROUGH THE SERVICE. BECAUSE SOME STATES DO NOT ALLOW THE EXCLUSION OR LIMITATION OF LIABILITY FOR CONSEQUENTIAL OR INCIDENTAL DAMAGES, THE ABOVE LIMITATION MAY NOT APPLY TO YOU. IN SUCH STATES, www.certifiedprojectmanager.org'S LIABILITY IS LIMITED TO THE GREATEST EXTENT PERMITTED BY LAW. You agree to indemnify, defend and hold harmless www.certifiedprojectmanager.org, its officers, managers, shareholders, directors, employees, agents, licensors, suppliers and any third party information providers to the Site from and against all losses (mental, computer, or physical), expenses, damages and costs, EMOTIONAL DISTRESS, worms, viri, virus, Trojans, including attorneys' fees, resulting from any violation of this Agreement (including negligent or wrongful conduct) by you or your use and access of the Site. The provisions of paragraphs 3 (Use of the Site), and 5 (Indemnification) are for the benefit of www.certifiedprojectmanager.org and its officers, directors, employees, agents, licensors, suppliers, and any third party information providers to the Site. Each of these individuals or entities shall have the right to assert and enforce those provisions directly against you on its own behalf. Either party without notice may terminate this Agreement at any time after logging off of the site for any reason. The provisions of paragraphs I (sanction disclaimer, accreditation disclaimer), 1 (Copyright, Licenses and Idea Submissions), 3 (Use of the Site), 5 (Indemnification), 6 (Third Party Rights) and 11 (Miscellaneous) or offer and acceptance info or jurisdiction and venue agreements shall survive any termination of this Agreement. Your participation, correspondence or business dealings with any third party found on or through the Site, regarding the payment and delivery of related goods or services, and any other terms, conditions, warranties or representations associated with such dealings, are solely between you and such third party. You agree that www.certifiedprojectmanager.org shall not be responsible or liable for any loss, damage or other matters of any sort incurred as the result of any such dealings. The Site may provide, or third parties may provide, links to non-www.certifiedprojectmanager.org Internet World Wide Web sites or resources. Because www.certifiedprojectmanager.org has no control over such sites and resources, you acknowledge and agree that www.certifiedprojectmanager.org is not responsible for the availability of such external sites or resources, and does not endorse or verify the truth of, and is not responsible or liable for any content, advertising, products, or other materials on or available from such sites or resources. You further acknowledge and agree that www.certifiedprojectmanager.org shall not be responsible or liable or fraud, directly or indirectly, for any damage or loss caused or alleged to be caused by or in connection with use of or reliance on any such content, goods or services available on or through any such site or resource. This Agreement shall all be governed and construed in accordance with the laws of the State of Louisiana or the federal eastern district of Louisiana applicable to agreements made and to be performed in Louisiana. You agree that any legal action or proceeding between www.certifiedprojectmanager.org and you for any purpose concerning this Agreement or the parties' obligations hereunder shall be brought exclusively in a federal or state court of competent jurisdiction sitting in the county/parish of Jefferson, state of Louisiana or in the federal courts in Orleans county/parish in New Orleans Louisiana. Any cause of action or claim you may have with respect to the Site must be commenced within one (1) year after the claim or cause of action arises or such claim or cause of action is barred. www.certifiedprojectmanager.org's failure to insist upon or enforce strict performance of any provision of this Agreement shall not be construed as a waiver of any provision or right. Neither the course of conduct between the parties nor trade practice shall act to modify any provision of this Agreement. www.certifiedprojectmanager.org may assign its rights and duties under this Agreement to any party at any time without notice or disclosure to you. The offers made here apply to membership only. Distinction and Designations are contingent upon education, experience, ethics agreement, prior or future testing, and continued education and good standing. Naturally, a person must pay for membership before applying for certification, distinction, designation, or fellow status. Acceptance is made when candidates have paid and the money has been deposited. There is no guarantee of certification as a MPM Master Project Manager or PME Project Manager E-Business. Your money will be returned (excluding the processing fee of $25 dollars) if you cannot, will not, or are incapable of satisfying the standards and qualifications of certification. With regard to certification, IPMC certifications, charters, and licenses are awarded on a yearly basis contingent upon a members good standing. Good standing implies that a member and certified individual is paid up in full as to his or her balance, abiding by the ethics agreement, has completed the continuing education, and all statements as to education, ethics, experience, credentials, Certifications, and degrees earned are true and correct. If a member or certified member MPM Master Project Manager or PME Project Manager E-Business., or Fellow of the IPMC has not paid his or her dues and licensing fees, the IPMC may request the charter, Certification, and license from the x-member and the member who is not in good standing shall cease from using any of the IPMC symbols, marks, logos, designations, fellow status, distinctions, service marks, trademarks, and copyrights. Any member that knowingly uses our marks and designations without paying is subject to compensatory and punitive damages as well as any other legal damages and is subject to the jurisdiction and venue of the US District Courts of the Eastern District of Louisiana. The IPMC does not guarantee safe delivery of any products, Certifications, or letters. The IPMC will deliver what you have paid full consideration for within a reasonable time. Upon notification, the IPMC will make an effort to track you letter, Certifications, or other information that was sent to you. We will guarantee that you receive a Certification with your name on it as long as you provide a save delivery place for your award. You are responsible for submitting correct information as to you name, address, Certifications desired, experience, credit card info, email address and other pertinent information that will allow the IPMC to process your request for certification or membership. Any liability for false information submitted falls upon the candidate who has misled the IPMC . The IPMC awards and licenses to use the registered marks are furnished to members who claim and state that they do indeed satisfy all of the standards and requirements that the IPMC has. These standards are to improve and recognize those who make a commitment to knowledge and education in the field of project management or related fields.. IF the candidate has sent information to us, we assume that Title 18 of the mail fraud statues apply to this and the submitter is supplying accurate information. Based on the information provided, we can easily determine if the candidate is dedicated to pursuing a career in PM Project Management, and Internet commerce and will follow the IPMC continuing education and ethics guidelines. All contract disputes will be held to the jurisdiction and venue of the federal courts of the eastern district of Louisiana. Additionally, the IPMC does not guarantee the character, skill, experience, education, ethics, or references of a member or certified member of our group. The IPMC grants membership to anyone who meets our standards, and is for the innovation and progress of the Project Management, and Internet industry. Certified members have all submitted application information with their electronic signature that assures the IPMC that all education, ethics, testing, experience, references, talents, or skills are correct to the best of the knowledge of the applicant or candidate or submitter. Therefore, the IPMC has provided the same degree of protection to the public as any undergraduate college as to information provided and verification. The IPMC accepts no liability as to the skill and expertise of a member or certified member. These members are operating independently of our group and have been awarded membership and certification purely based on their submissions to us that have assured us that they have met the standards that the IPMC requires. If a member is in fact not qualified, the general public has a duty to notify the IPMC as to the certified members skill and the IPMC can have a hearing or review and notify the member of certified member as to the review. The IPMC has formal and informal alliances. The IPMC has hundreds of members and the bylaws and charter allow: "IPMC has 1000 Charter Members". The IPMC has been endorsed by the American E-Commerce Association and is in full alliance with the IPMC until stated otherwise. Throughout the IPMC and IPMC Web site, there are links to various external sites that are of use to visitors. The external sites that have been linked contain information created and maintained by institutions or organizations independent of the IPMC Board. In consequence, the IPMC Board does not control the content of these sites, nor does the Board make any representation or warranty, either express or implied, concerning the accuracy, completeness, or timeliness of information contained therein. Use of any information from these sites is voluntary, and reliance on such information should only be made after an independent review of its accuracy. Reference to specific commercial products or services in these sites does not constitute or imply endorsement by the IPMC Board. Training: IPMC , IIPA, CEC, and this institute allow for 3rd party vendors of education, training and other products on this site to be advertised. IPMC only approves of the coursework. We do not warranty or guarantee the product or service being offered. You as a customer are engaging into a contract with educational providers who are not owned or controlled by this site or IIPA or IPMC . Your recourse or specifice performance is with the provider and not this membership organization. The consumer protection act should afford you some protections against fraud or performance or delivery. Further, the providers use merchant accounts, and you as a cardholder can solve your problems with the company such as Visa, MC, Amex, Discover, etc. by using the federal protections.